green apple paperie: I'm Blogging! Who says you need it to be January 1st to start a new project or goal? I'm really excited to join the blogging world. I have been running my Etsy shop of party items for almost three years now and I have a lot of ideas that I can't wait to share. Of course, why not share some free printable items as well, right? Oh, don't worry...I'll be doing that too! To get the blog rolling, I will be offering lots of free items over the next couple weeks. 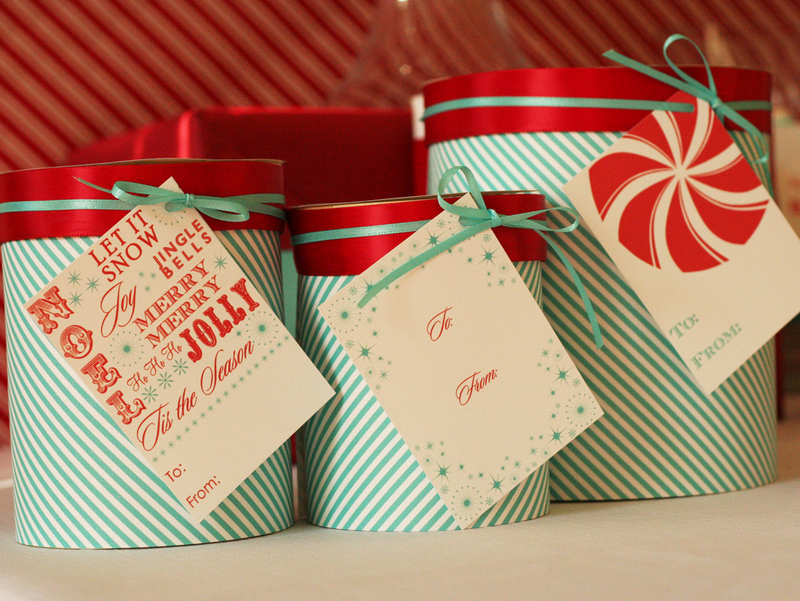 First up, are some printed Christmas Holiday gift tags. The first set is from my Rustic Christmas Table. Wrap up your gifts with some natural kraft paper and tie on one these tags with some natural or some red bakers twine. 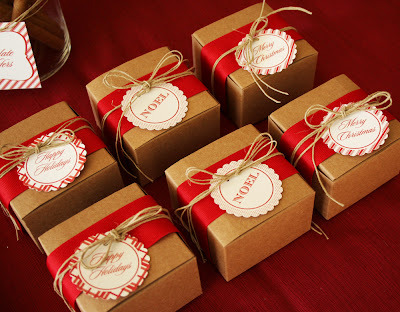 Use the small circle tags for smaller gifts or for a little package of cookies you give to your neighbor. The next set you could win is from my Peppermint Christmas Holiday Collection. These tags are a little fun with a little retro mixed in. I just love pairing up aqua and red. So how do you get them you ask? All you need to do is sign up to follow my blog and post a comment letting me know you signed up and which set you like best! Deadline to enter is Thursday, December 2nd at midnight EST. Open to US residents only. (Sorry!). Two winners will be chosen at random on Friday, December 3rd. Each winner will receive 18 large tags and 12 small tags of either the Rustic or Peppermint style. Did I mention, I will ship them for free too?? So, free tags AND free shipping. 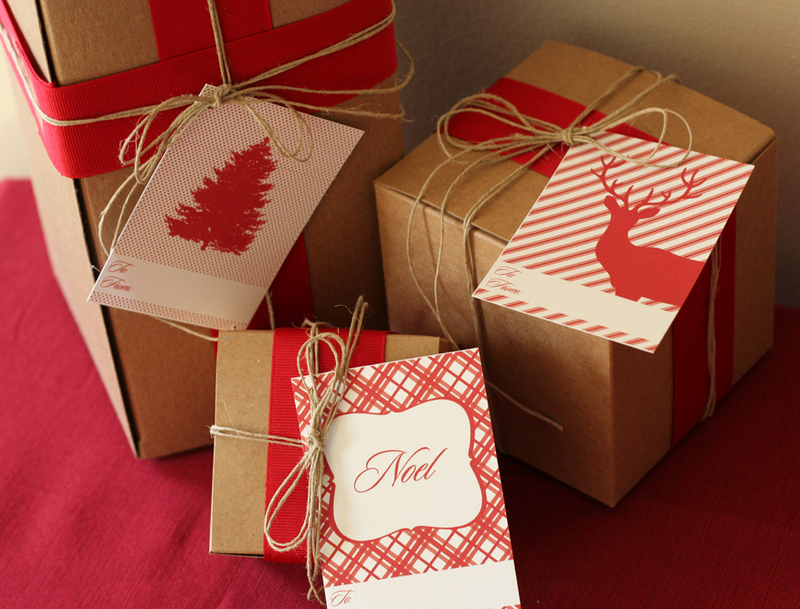 Sign up, win and get wrapping! yay! great new blog :) congrats & keep up the great work! I'm stalking your blog now!! 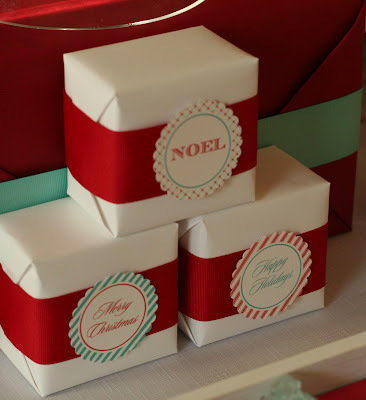 I can't wait to use my printables at our christmas party!!! Just signed up to "Follow" your blog, what great work you do and such an inspiration to your followers! Personally, I love both collections but my #1 choice would be Rustic Christmas, since we are tucked in the woods and watch wildlife on a daily basis! 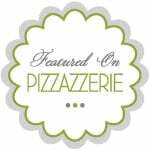 I have a blog also and what fun it is to post!!! Merry Christmas and thank you for sharing your talent!